The DIY wedding is fast becoming a popular trend as couples look to save money. Bride and groom alike are more involved than ever in every aspect of their wedding day plans. We see them creating décor for the ceremony and reception; choosing signature cocktails; theming and personalizing dessert tables, all undertaken with the goal of making that day special. Here at Magnolia Company, we have all the tools that today’s bride needs to put together the garden inspired wedding of her dreams. Not only do we have fresh plants, dish gardens and centerpieces to accent an outdoor or indoor space with their colorful blooms, but we also have a variety of fresh garlands and accent pieces created for this special event. 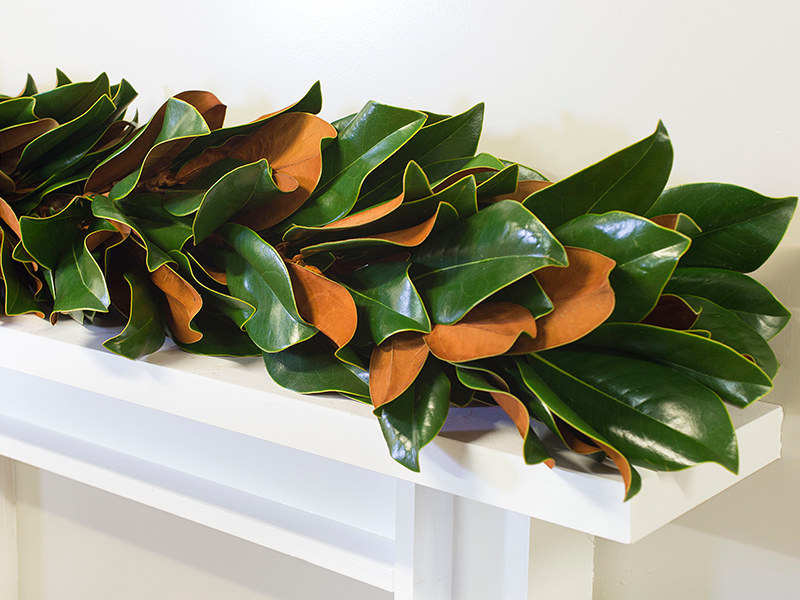 The Original Magnolia Garland, with its green and copper foliage, is a great fit for wedding décor, bringing a warmth to the overall look of the space you are working with. Lining a trellis, a banquet table, or wrapped around a lamp post or pole, this garland takes your bridal décor to a new level of beautiful. 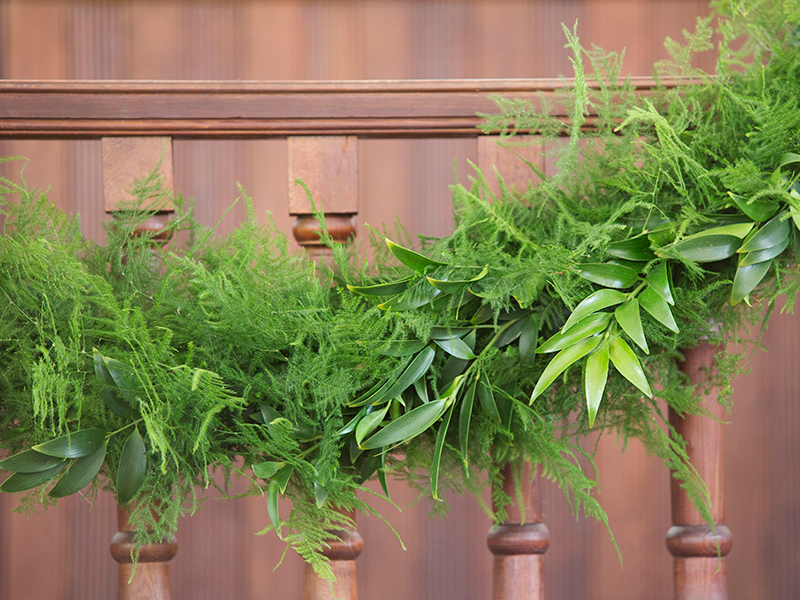 Our Plumosus Nagi Garland has a bright green and textured appeal that lends itself well to an outdoor ceremony or reception during the spring and summer months. Visualize this garland adding to the richness of the flowers and foliages that are already a part of your wedding day landscape. Accent a blank wall or embellish your card or dessert table with our unique moss letters. 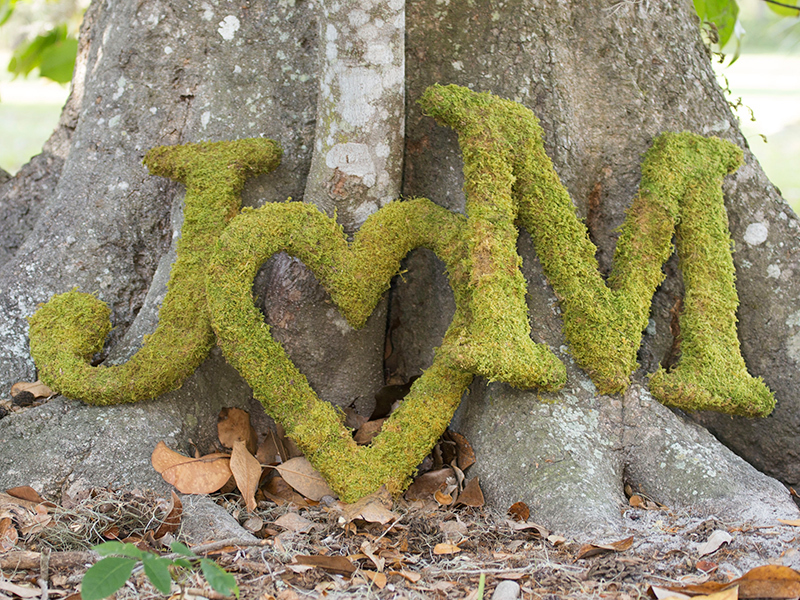 Constructed using real, live green moss, you can choose the initials of the bride and groom to symbolize their union. Thoughtful and chic, this adds an extra flair to the overall design of your day. 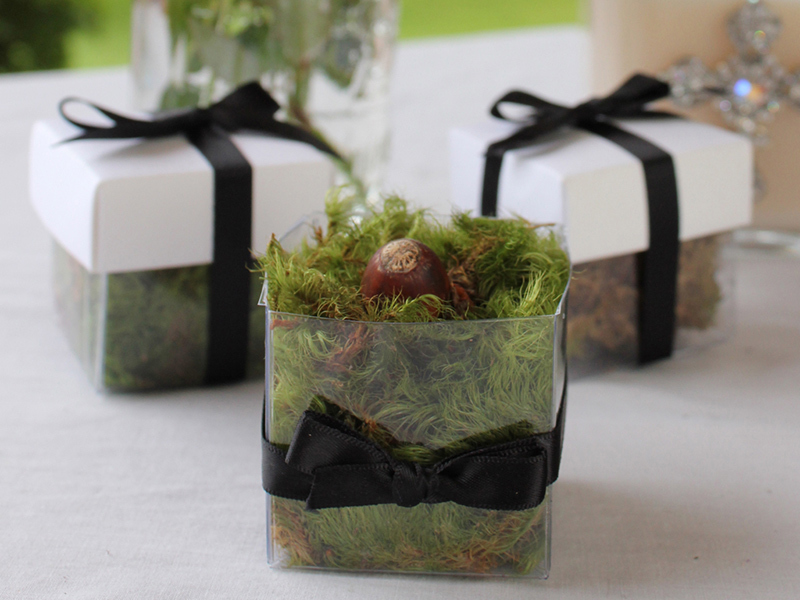 The Magnolia Company offers living wedding favors of miniature seedlings. This creative gift for your guests will continue to grow and flourish as a living reminder of this special day. Set to match your color palette, each seedling box is selected for the growing zone you live in. These are just a few ideas we have as you plan your big day – the possibilities are endless as you peruse our site.